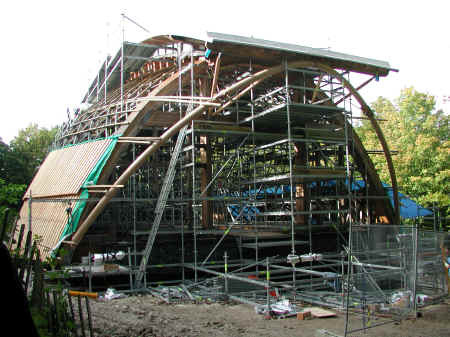 The ribbon roof extends beyond the end frames of the building and curved beams are being laminated to provide the necessary support. 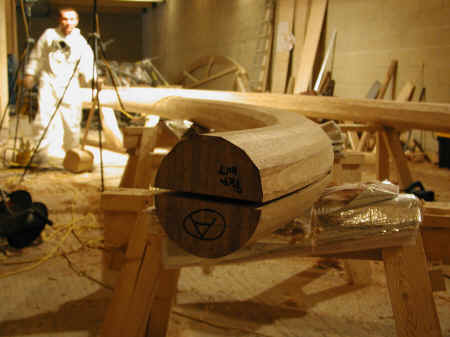 The beams are assembled from 15 planks of 15mm x 210mm green oak scarf jointed to obtain the required length, 14 layers are glued and laid up in a jig and then jacked into shape. 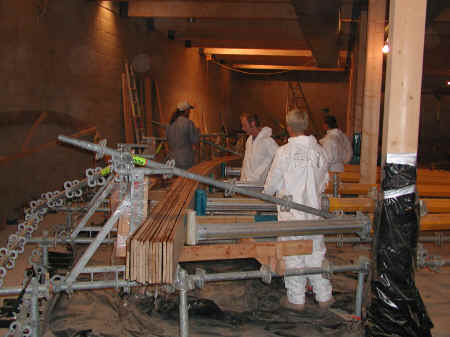 The glue gives a maximum working time of 4 hours. 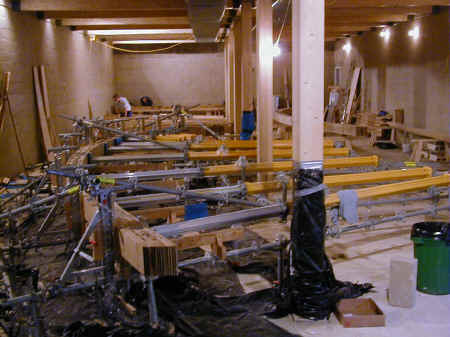 The jig is constructed entirely of PERI scaffolding components. 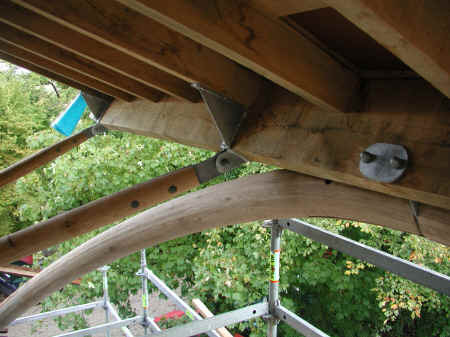 The lower floor of the gridshell building is being used for this process. 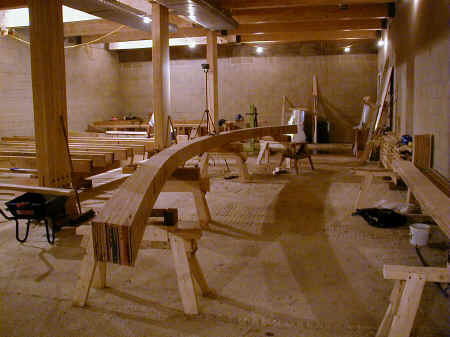 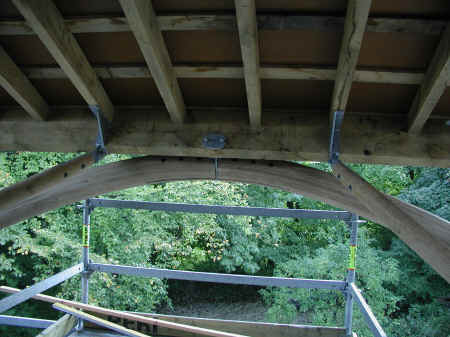 The curved beam is shown below. 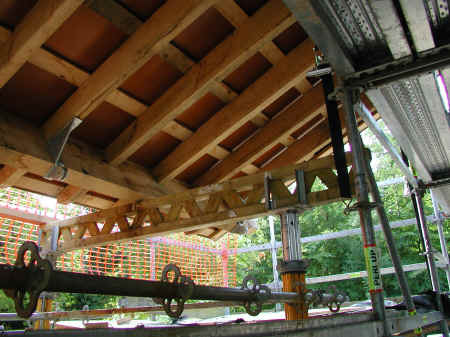 Further work is necessary to convert this to a circular section 200mm in diameter.